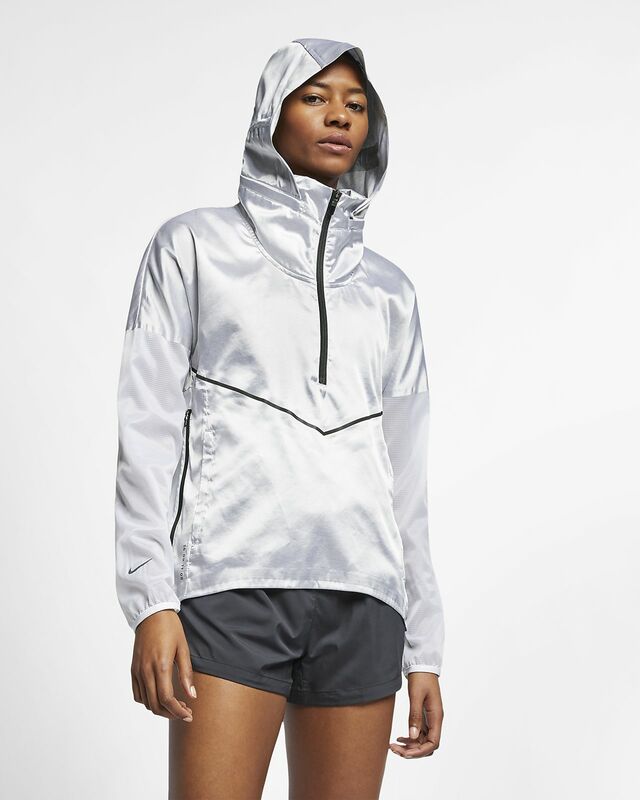 Outsmart the weather in the Nike Hooded Jacket. 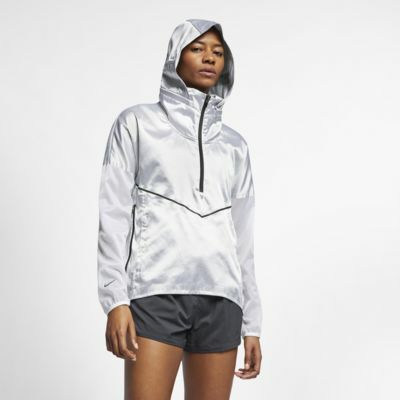 This ultralight shell helps keep you dry when you need it and 2 zippered pockets let you easily stash your stuff. Hood offers coverage that stays put. 2 zippered pockets store your essentials.